Last week I made a simple little program that keeps track of your active window. The idea was that knowing how much time you waste would help in getting back to work. 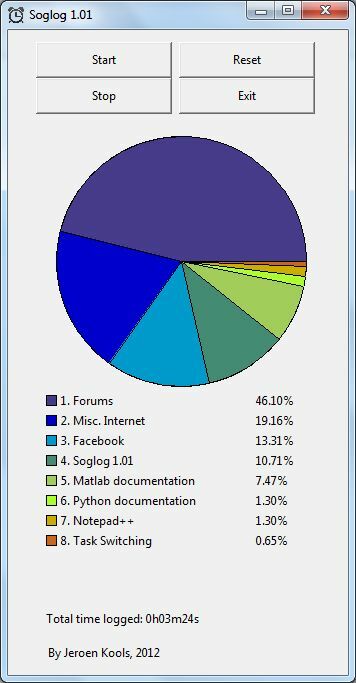 Anyway, it has super cool pie charts and you can get it here if you're interested.